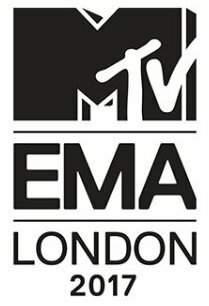 Taylor Swift is set for a big night at the MTV Europe Music Awards (EMAs) after coming top in the nominations with six. The Shake It Off singer has received nominations for Best Video for new single Look What You Made Me Do, Best Artist, a category which has replaced the earlier Best Female and Best Male Artist awards, Best Pop, Biggest Fans, Best Look, and Best US Act. She is closely followed by Shawn Mendes with five mentions, then Ed Sheeran and Kendrick Lamar with four. All three are also nominated in the Best Artist category, which also features Ariana Grande and Miley Cyrus. Taylor and Kendrick will also face off in the Best Video category, with him being recognised for HUMBLE. They will also compete against Foo Fighters' Run, Bon Appetit by Katy Perry featuring Migos, and KYLE and Lil Yachty for their collaboration iSpy. Taylor and Shawn will go head-to-head for the Best Pop award, alongside Miley, Demi Lovato, and Camila Cabello, and for the Biggest Fans prize, alongside Katy, Ariana, and Justin Bieber. Taylor will also do battle against ex-boyfriend Harry Styles in the Best Look category, which also includes his old One Direction bandmate Zayn Malik, as well as Dua Lipa and Rita Ora. One of the night's biggest award, Best Song, will be a competition between Clean Bandit, Sean Paul and Anne-Marie (Rockabye), DJ Khaled, Rihanna and Bryson Tiller (Wild Thoughts), Ed Sheeran (Shape of You), Luis Fonsi, Daddy Yankee and Justin Bieber for the Despacito remix, and Shawn Mendes (There's Nothing Holdin' Me Back). The winners are voted for by the public and will be announced on 12 November (17) at the SSE Arena, Wembley in London. Rita Ora is hosting the ceremony.